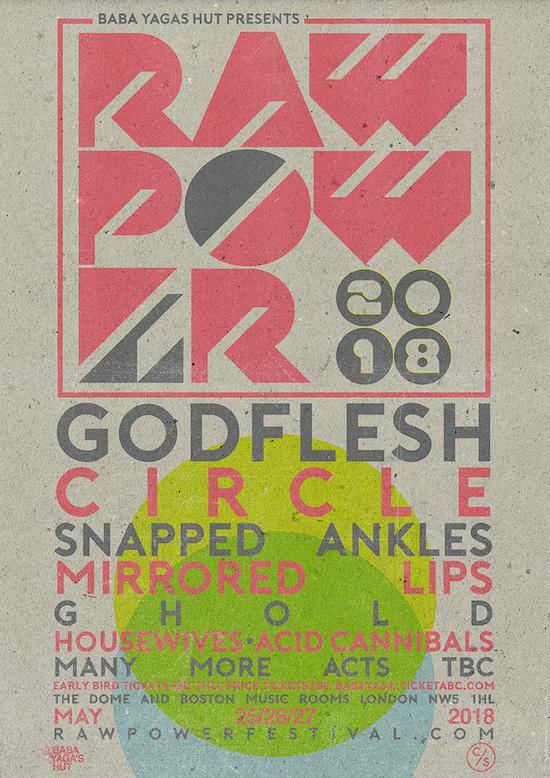 The first names have been announced for this year's edition of Raw Power with Godflesh, Circle and Snapped Ankles amongst those set to play the London weekend festival. Also confirmed are Mirrored Lips, Ghold, Housewives and Acid Cannibals, with many more yet to be announced in the coming months. The festival takes place at The Dome and Boston Rooms in Tufnell Park from May 25-27. You can find more details and get tickets here.